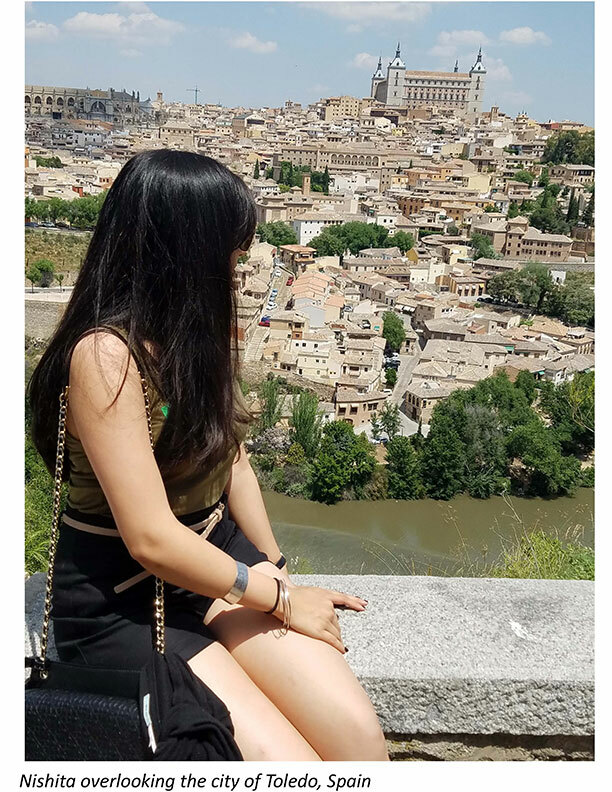 For information about the study abroad trip to Spain, please contact the Policy Studies Center at 210-458-2545 or visit the office in BV 4.304. Additional information can be found on the Policy Studies Center web page. Study abroad to me as an undergrad gave me an aura of independence. The first year I went, I did not know anyone on the trip. Walking into the airport (more my mother dragging me in) was one of the most nerve-wracking things I had done because of the element of unsurity. Once we were all checked in, everyone became a family. The biggest thing that stood out to me in Spain was that everyone was not always “on the go” like we are here. Although work is important, enjoying life with the simple things (like having a two-hour lunch instead of one) is pivotal to them. That in itself was beautiful to me. So often we forget to really enjoy what is in front of us. In terms of Criminal Justice (CRJ) as an undergrad, it helped me see that there is so much more to law enforcement than meets the eye. Going in, I thought I wanted to be lawyer. Leaving, I wanted to work for corrections. 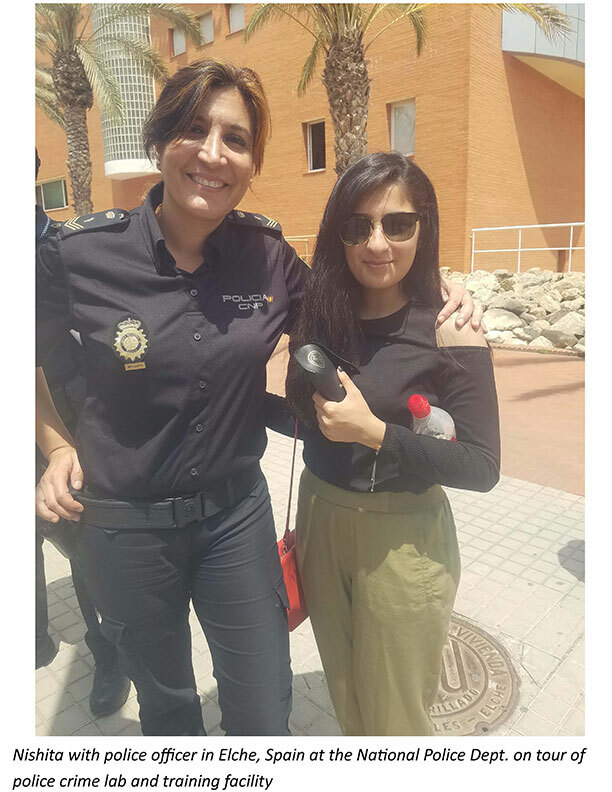 This was due to the fact that we visited the jail in Elche, and saw how important it was for offenders to have the right guidance, support, and resources around them to prevent them from recidivating. The jail visit opened my eyes to not only the lives of correctional officers, but also the life of an inmate. Going as a grad student this past summer, I didn’t think I’d get any more out of it than I did the first time. I couldn’t have been more wrong. The two things that really made an impact on me was the supreme court in Madrid, and the Al Hambra in Granada. 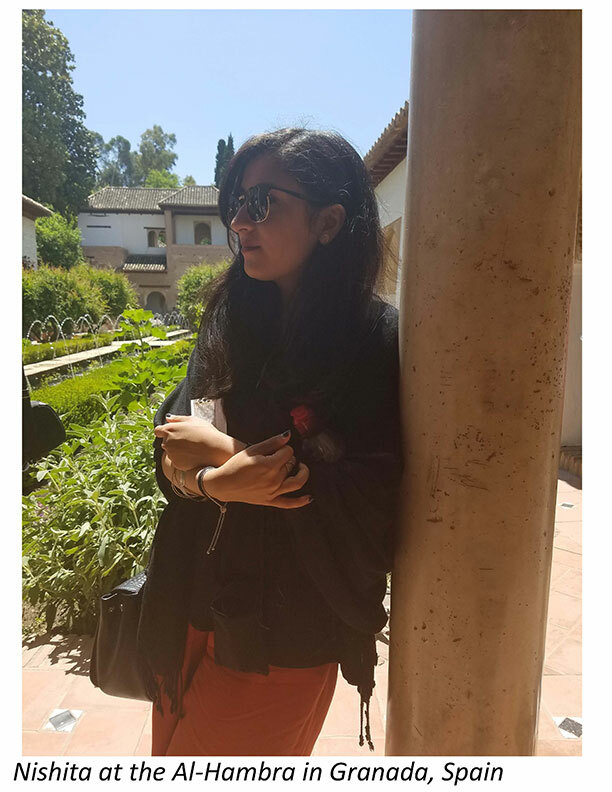 I saw the supreme court in Madrid for the first time, and what I thought was amazing was that in the middle of the court there was an outdoor courtyard planted with beautiful flowers. The reason for that is when the job becomes overwhelming and stressful, workers can go outside and de-stress. That was beautiful to me. Jobs in CRJ can be draining, mentally physically and emotionally. To have small enjoyable moments can really help ease the tension that weighs down. Lastly, the Al Hambra. It was my second time seeing it, but it meant so much more. I am a Muslim American and it is not uncommon for that term to be viewed as a bad thing. At the Al Hambra, the tour guide explained to us that although this was Muslim territory, all faiths combined to help build and design it. It was beautiful to see how very peacefully different faiths coexisted then, which gave me hope and positivity for the future. Something that doesn’t occur often. In all, in regards to the CRJ system I learned that the problems and issues that we may think are unique to our society are actually very universal. People of all cultures deal with the same type of crime, causing the same distress on victims and society. Sure, there are differences in the way things work around the world. Yet, humans still deal with the same emotions, fears, and issues in each corner. Maintaining and enhancing CRJ organizations is not only a national effort, but is trans-national. Needless to say, study abroad is a good idea to anyone that is open to experiencing something new. It not only teaches you independence, but also how to appreciate different cultures and people. It opens your eyes to something that you didn’t know existed and can benefit someone shaping them to be a well-rounded person. You must have a valid passport! Fill out an Enrollment Form and return it to the Policy Studies Center office located at Buena Vista (BV) 4.304, Monday – Friday, 8:00am – 5:00pm. Submit your non-refundable deposit to fiscal services using the deposit slip included in the enrollment packet and bring the receipt to the Policy Studies Center.